A very charismatic young mother-in-law in Carlsbad--with a fantastic eye for design--loves her black and white. So, that's just what she got in this sophisticated master bath remodel in her mother-in-law suite! 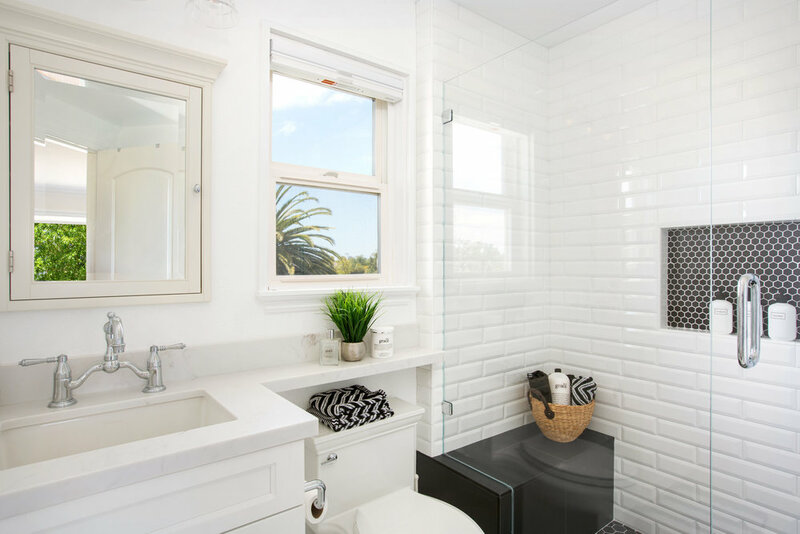 Bellmont Cabinets, Aurea Stone's Paragon quartz countertop, Toto toilet, and tile from San Diego Marble and Tile adorn the new space. What a difference a bathroom remodel makes!